At the EoC School in Viena, the strength of experiences is combined with enthusiasm and creativity of the young people. “Live your questions and let the answers grow within you.” This quote from Rainer Maria Rilke opened the third Economy of Communion School of Northern Europe at the Mariapolis Center “Am Spiegeln” in Vienna last October 21st. The 110 participants represented Belgium, Luxemburg, France, Germany, Austria, and Switzerland, as well as several Eastern European countries (Slovenia, Serbia, Croatia, Hungary, Czech Republic, Slovakia), including many young people. St. Francis of Assisi, listening to the voice from within, devoted himself in restoring the Church of St. Damian in Assisi, and only later did he realize that his task was to reconstruct the “Church,” and so it is also for the EoC. After having lived the first 20 years within the Focolare Movement, the EoC now understands that it was born “for everyone.” An important growing aspect of this is the EoC’s presence in the media. To solve the problems of the global economic crisis, it is important and essential that employers, in their capacity as real protagonists of the economy, close the ranks, collaborate together, and exchange experiences globally. “An uncommon community of entrepreneurs,” was how a participant, a graduate student of economics, described his impression of the workshops. During the workshops, each one was able to give answers, starting from their own business experiences, to questions such as: how to run a business oriented to the common good, how to solve poverty that is growing locally and globally, how can a “culture of giving,” as a business oriented to the EoC principles, oppose the mentality of economic exploitation. The young people were the protagonists on the second day of the school. 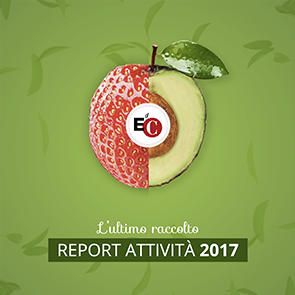 “Without the young people there is no EoC,” said Luigino Bruni; both, in fact, are not satisfied with the economy's current state, generosity and vision. “The young people are not ‘the future’ as is often said but rather ‘a different way of living the present.” In the end Steve Jobs, Gandhi, St. Francis of Assisi, or Jesus Christ launched their revolutionary ideas at the age of 30. Today, whoever wants a better world cannot be separated from the economy, and who, as a young man, discovers his own personal ‘daimon’ in the economy, (a life vocation) must be carried out with a lot of energy, creativity, and enthusiasm. So, after graduating, instead of working for a corporation, one can engage in the EoC. As “path of excellence,” the ‘diamon’ can easily be in an atmosphere of benevolence and gratuitousness in community with mature EoC businesses. It was then followed by various testimonies of young entrepreneurs. Today there are 38 small and medium EoC businesses in the southeastern countries of Europe that are in the local markets for their the innovative ideas, rational management of resources, and professional support from the EoC of Western Europe, in an increasingly difficult macroeconomic environment characterized by unemployment and poverty. In these areas of southeast Europe, where about 200 families receive a monthly fixed allowance from the EoC, new jobs are created and many new social business initiatives are born. The EoC projects’ professionalism and sustainability are guaranteed by the AMU (recognized by the NGO) as Francesco Tortorella said. These are not just conventional, but rather to help collaborate with those in need, in a partnership of mutual giving, where on one hand there is the financial means and talent on the other that make possible new and creative solutions.